The best friendships are the ones that are formed without effort. They are not found in the relentless pursuit of the perfect friendbut rather when you are focused on being the best version of yourself; this is when you meet like-minded folk, often through shared interests. These are the kind of friends you’re most likely to keep for life regardless of which corner of the earth they come from and how often you may get to see them. The best friendships won’t always sprout from the most intellectual of conversations. Sometimes they will be silly or stupid or filled with so much laughter that you will be sitting at home months later, with a wide grin on your face that says, ‘Boy it was awesome to meet So-and-So’. 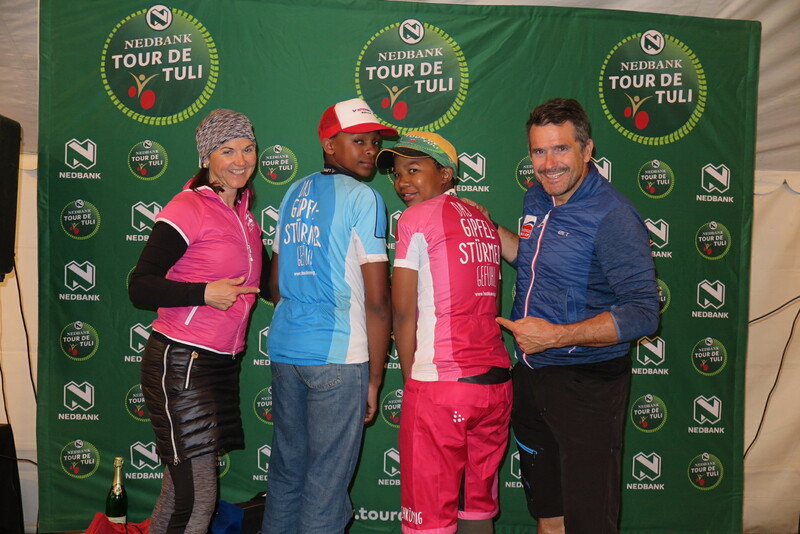 The best friendships are formed unguarded… like the folk of the Wild und Lassig group that met for the first time at last year’s Nedbank Tour de Tuli mountain bike adventure. This group of individuals, from Germany and Austria, was organised by Karin Frölich, a Wilderness Safaris sales representative based in Germany. I suspect Karin had not the slightest clue that these folk would still be emailing and WhatsApping each other long after the dust had settled. Virgins to the ultimate cross-country mountain bike tour, but adventure junkies all, they packed their mountain bikes and off they flew some 13 000 km to experience the African bush with complete strangers. 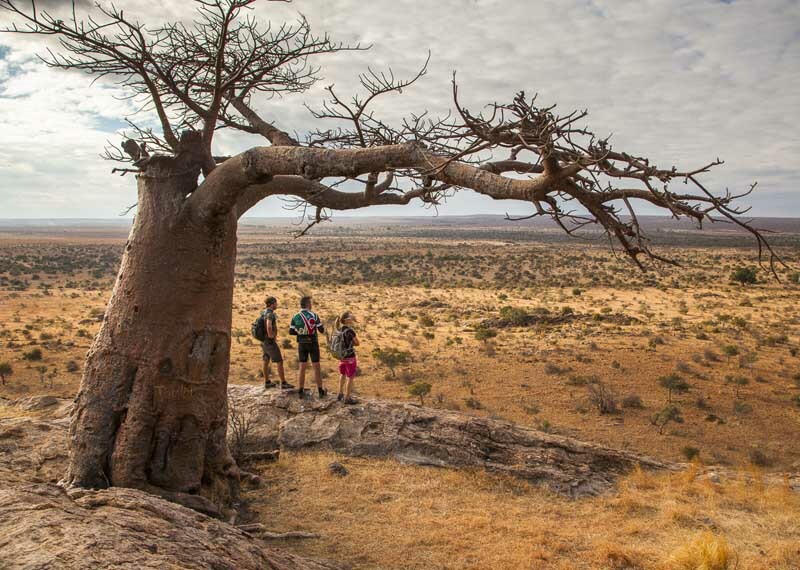 During the Tour, the team spent four days traversing three countries on their bikes; from the dramatic sandstone ridges of Limpopo with their panoramic views of the landscape in sight of elephants crossing the Limpopo River to Botswana at Mashatu’s Lentswe Wall, a remarkable natural wonder, to eventually crossing in to Zimbabwe on magical single track through riverine forest filled with lala palms as well as massive ironwood, fig, mashatu and fever trees. On the final day they rode past Mapungubwe’s ancient baobab trees and viewed fossils estimated to be around 200 million years old. Mind you, all these spectacular landscapes didn’t come without their fair share of wildlife sightings, ensuring the riders were kept on the edge of their saddles in anticipation of what lay over the river or behind the next enormous bush. And then of course there was the part where they slept in the middle of nowhere with only a tent for protection. 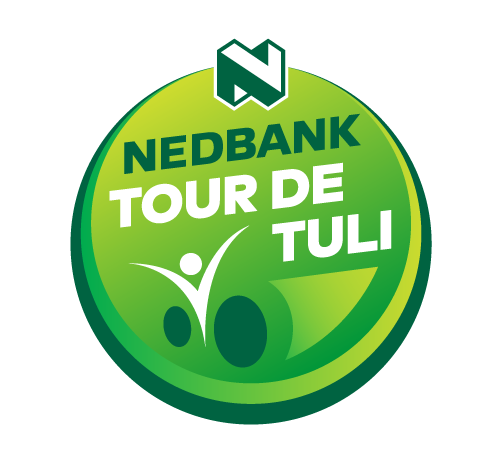 The Nedbank Tour de Tuli is pure thrill, adventure and excitement, packed into one unforgettable ride. You can’t experience all of that and not come back with at least one friend! For riders like the Wild und Lassig group, the friendship sparked by the Tour was so tremendous that it resulted in an additional, and very generous, group contribution. On the final evening of the tour, the group spontaneously sponsored a ski holiday in a bid to raise funds for Children in the Wilderness. This amazing offer included a week at the Hotel Mama Thresl in Austria and was auctioned off for ZAR 70 000. In addition to this, Bakang Ebudilwe, an outstanding professional cyclist based in Botswana, was noticed by the group and offered an opportunity to attend a four-week training program in the Austrian Alps, all expenses paid, by ski-instructor Hans, a member of the Wild und Lassig group. Bakang is currently training to qualify for the 2020 Olympics.